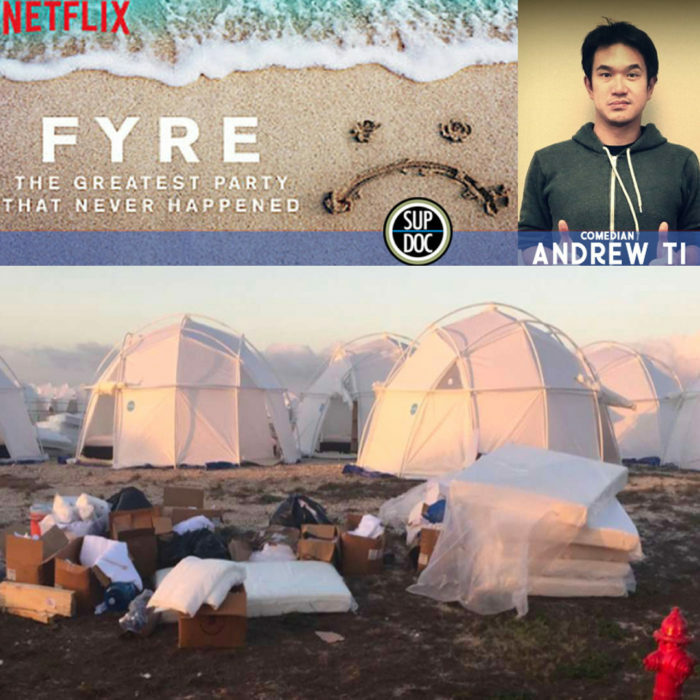 On episode 107 host George Chen discusses the phenomenon of battling Fyre Festival documentaries. We concentrate more on Fyre: The Greatest Party That Never Happened (Netflix) than Fyre Fraud (Hulu), but you don’t really have to watch either to follow along. 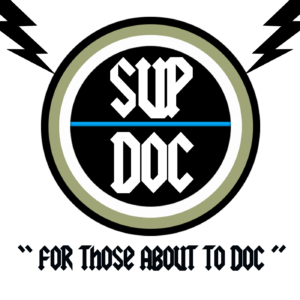 Our guest is Andrew Ti (Yo, Is This Racist?, Problematic with Moshe Kasher) and we break down antiheroes with white privilege, scammer culture, and how Chris Smith bungled this whole thing by working with FuckJerry. Fyre Festival was a failed “luxury music festival” founded by Billy McFarland, CEO of Fyre Media Inc, and rapper Ja Rule. It was created with the intent of promoting the company’s Fyre app for booking music talent. The festival was scheduled to take place from April 28–30 and May 5–7, 2017, on the Bahamian island of Great Exuma. The event was promoted on Instagram by “social media influencers” including socialite and model Kendall Jenner, Bella Hadid, and model Emily Ratajkowski, many of whom did not initially disclose they had been paid to do so. During the Fyre Festival’s inaugural weekend, the event experienced problems related to security, food, accommodation, medical services and artist relations, resulting in the festival being postponed indefinitely. Instead of the luxury villas and gourmet meals for which festival attendees paid thousands of dollars, they received prepackaged sandwiches and FEMA tents as their accommodation. Two documentaries about the events of the festival were released in 2019: Hulu‘s Fyre Fraud, and Netflix‘s Fyre: The Greatest Party That Never Happened. Check out Megh Wright’s #FuckFuckJerry campaign on Twitter.